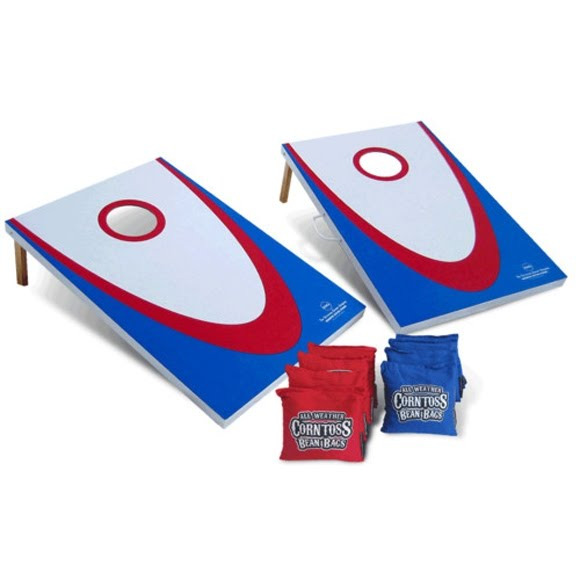 The Backyard Edition - Corntoss Bean Bag Game is a traditional wood construction, classic bean bag game for all occasions. High Quality wood construction, married with the #1 selling All Weather Bean Bags, and an optional carry bag makes this game's value unmatched! Players toss bean bags at opposing targets and score 3 points for making it in the hole, and 1 point for making it on the board. The Backyard Edition - Corntoss Bean Bag Game is a traditional wood construction, classic bean bag game for all occasions. High Quality wood construction, married with the #1 selling All Weather Bean Bags, and an optional carry bag makes this game&apos;s value unmatched! Players toss bean bags at opposing targets and score 3 points for making it in the hole, and 1 point for making it on the board. The Team that scores 21 points first wins.